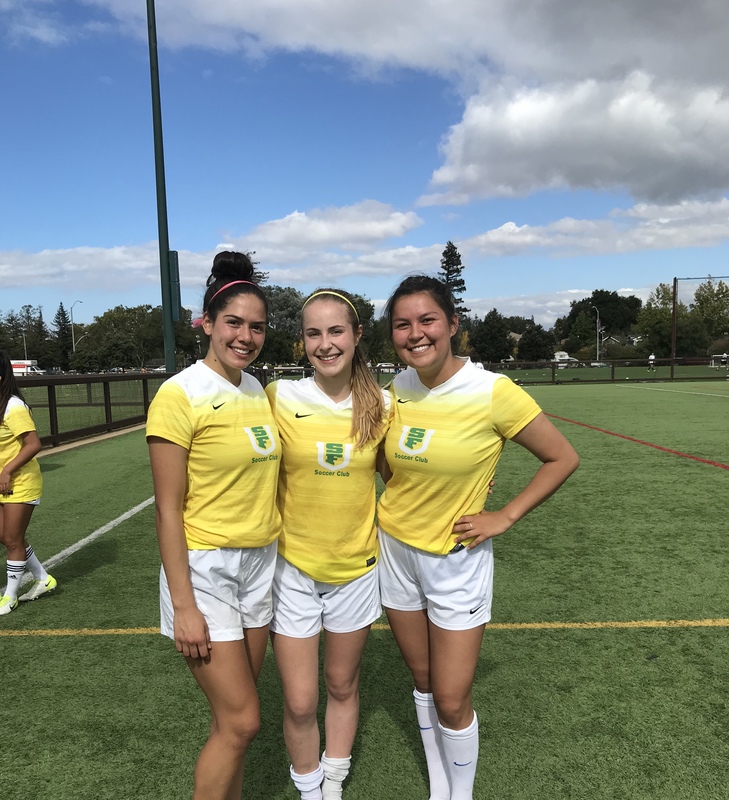 The West Coast Soccer Association is proud to announce the University of San Francisco Women's Club Soccer program as WCSA Team of the Week. Last weeks game against Stanford was intense and a good match. USF was connecting the ball very well and making good runs. The Stanford team was a worthy opponent and had quick transitions that made USF have to drop quickly and get behind the ball. In the beginning the Cardinal were getting through the Dons defense because of their fast transitions, but USF adapted quickly and were able to stop the through balls by stepping and covering each other when having to drop. USF kept the ball moving quickly and would find holes in the Stanford's defense with quick wall passes and had speed on the outside. “This is exactly the kind of tone we were looking to start the season off with" says USF midfielder Alliah Yassin. "I’m excited to see the chemistry and progression in our team on and off the field throughout the season”. USF's middle would win the ball in the air and overall controlled the middle. They kept shooting and kept the goalie on her toes. Estreya and Brenna scored USF's goal scores this weekend and both had very good goals. USF defense was strong in the back and was able to shut down Stanford's offense. USF center back Farah Ganime-Sainz stated, "I am really proud of our team and how we came together and were able to string passes. I am excited for the rest of the season!" The Don's biggest strength was being able to move the ball quickly and moving the ball across the field. They performed very well and came out with intensity from the start.